Here is the real reason behind why Super Tekla had been kicked out in Wowowin! Super Tekla is one of the most popular comedians in Kapuso network. He was discovered by Willie Revillame in one of the segments of Wowowin and later on Willie offered him to be part of the show and act as Willie co-host Super Tekla really brought real happiness to the viewer but nothing really lasts forever. Just recently super Tekla becomes the center of the talks on social media after rumors saying that he was kicked out of wowowin. Lolit Solis even revealed a few statement saying that super Tekla wasted the opportunity that Willie gave to him. There were also allegations saying that Willie kicked him out of the show because of his bad habits which weren't disclosed to the public. "Wala akong hinanakit sa puso ko bagkos lubos akong nagpapasalamat ako kay kuya wil sa narating ko at sa chance na binigay nya saken marami akong natututunan lalong lalo na nilapit nya ako sa masa buong buhay lilingunin ko ang pambihirang pagkakataon na binigay sa akin ng programang wowowin." "Sana po patuloy kayong sumuporta sa programang ito.. in gods will narin po siguro kung bakit nagwakas ang journey ko parang magbukas ng panibagong yugto ng buhay ko maraming salamat sa halos isang taon na pagsubaybay sa akin. Lahat ng fans supporters at mga naniniwala sa talentong naibahagi ko sa bawat pilipinong kapuso saang mang sulok ng mundo.. mahal na mahal ko kayo hangat jan kayo di po ako mapapagod maghatid ng ngiti at saya. Meanwhile, he invites everyone to watch and support his episode in Magpakailanman where he will be playing the role of Beki famous water vendor name Dodoy. Do you know how to claim a burial subsidy with the Taiwan Labor Insurance? Many of us don't know this kind of ways, here are the brief and exact details on how to claim if somebody of our member had gone to rest. 3. Must complete the documentary requirements of Taiwan Labor Insurance. 1. Three (3) photocopies of Employment Labor contract, duly certified by the MECO-Labor Affairs. 2. Three (3) photocopies of ARC duly authenticated by MECO. 3. Three (3) photocopies of thirty-two (32) pages of worker's passport duly authenticated by MECO. 4. Have a power of Attorney notarized, authorizing a representative who will process in the Philippines. 5. Send these documents to your authorized representative in the Philippines. 1. Work/Employment Contract - 3 photocopies to be certified by MECO-Labor Affairs. 2. Send this documents to your authorized representative in the Philippines. - All documents mentioned (1&2) below in three (3) sets each must be secured from NSO Manila, translated to Chinese and authenticated by DFA and Malacañang. C. Deceased identification card such as: senior citizen card/ SSS/TIN/ or voter's ID, etc. Note: All above-mentioned documents must be submitted to TECO-Manila for FINAL AUTHENTICATION. What is the procedure in TECO-Manila? B. Attach all documents indicated above, duly authenticated by the respective offices as mentioned above. C. TECO will authenticate all the documents. TECO-Manila will return all authenticated documents to your representative in the Philippines and your authorized representative will send all the duly authenticated documents to you for you to process in Taiwan. Now, the worker or claimants shall pass all the documents to their respective Company/HR. The Company will pass all your documents to the Labor Insurance of Taiwan. The processing days in Taiwan will be 15 days after your Employer send all the documents to the Labor Insurance. How much will be claimed? Address: 11/F, No. 176 Chang Chun Road, Chung-Shan District, Taipei 10479, Taiwan. 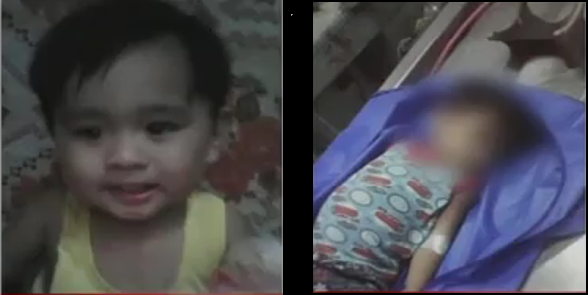 A 1 year old boy killed by her Aunt who is under the influence of drugs? A 1-year-old boy died after her Aunt put a tape in his mouth and put him into the cabinet. The victim is identified as Brian Jason Agustin or "pao pao". Meanwhile, the suspect is her Aunt Ma. Ruth Mariano. The mother of "pao pao" said that it wasn't a reason to do those things to his son because her son is a baby, of course, it really cries, the baby does really cry, but somehow I'm hoping that she didn't do that. The suspect admitted that she is under the influence of drugs that's why she does those things to her nephew. She is now facing a guilty verdict in murder. Drugs really lead you to a place you might regret in the end because it will destroy everything you have, even your own family. Xian Gaza also did not deny the allegations against him. "My past was never a secret and even publicly open about it.." he said. He also admitted that he got death threats, criminal charges, court subpoenas, and warrant of arrests when he was 20 years old. Now that everything has come to the public that he also publicly crucified him because lots of keyboard warriors, bashers and haters was going on against him. 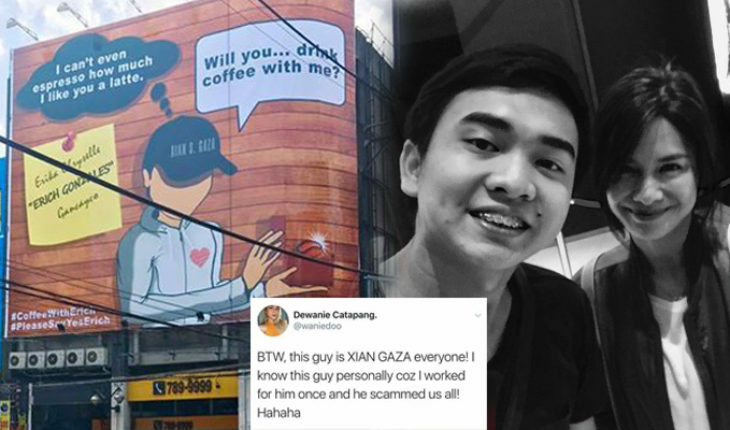 He still hopes that Erich Gonzales can still say yes for a coffee with him. So it is all up to Ms. Erich Gonzales now after she came back from her vacation if she gonna have a coffee with Mr. Xian Gasa. A OFW was rescued in a massive factory fire in Taiwan? The Filipina only identify as Anney 35 years old, she was inside the company when the fire broke out and was unable to come out. She was been rescued by the Changhua County Fire Bureau safely and rushed to Changhua Christian Hospital and now in stable condition. 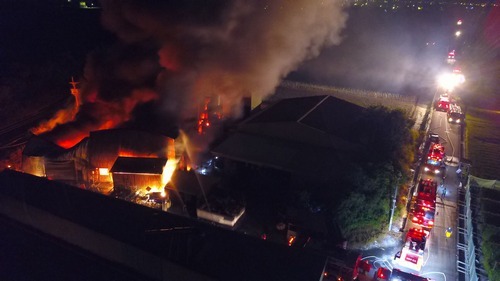 The fire spread rapidly in a factory that specializes in painting of bicycle parts. Dozens of firefighters and 19 fire trucks were deployed to extinguish the fire. Why are power banks most confiscated in Taiwan Airport? Taipei - In Taoyuan International Airport reminded the passengers for the items that are most confiscated in the airport. It comes out in their survey that 70% of things that are being confiscated are battery banks, most passengers keep their battery banks in their luggage. 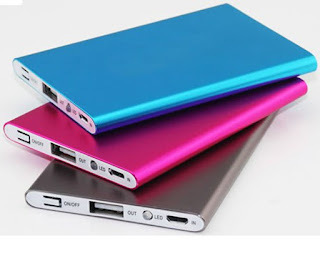 But the authority had reminded the passengers that battery banks should not be placed in luggage because these could cause fires in cargo area during flight. As of the January to March this year, the authorities had confiscated about 14,226 of power banks at the main gateway of Taoyuan International Airport. Most confiscated are lighters which 16%, lithium battery 12%, and 70% are power banks. Travelers are urged to hand carries such as power banks, batteries, lighters instead of putting them into luggage.